The only Jewish newspaper serving Sarasota and Manatee counties! We’ve worked hard to make The Jewish News of Sarasota-Manatee an interesting and informative window of the Jewish world for our community. The Jewish News is now recognized as one of the leading monthly Jewish newspapers in the country. 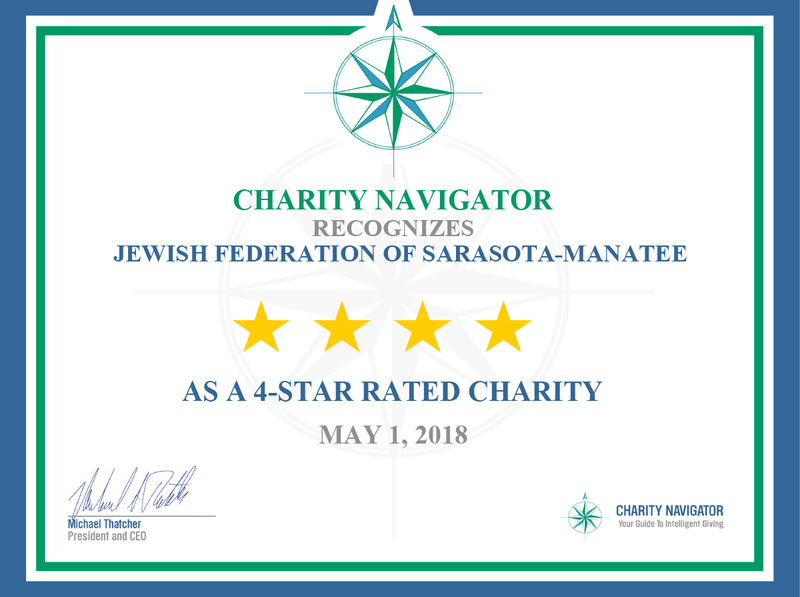 In addition to the more than 12,000 subscribers, the newspaper can be found in more than a dozen of the Temples and Synagogues in Sarasota, as well as our partner agencies, the lobbies of the public libraries, and newsracks located throughout Sarasota and surrounding areas. If you enjoy The Jewish News and its unique blend of local and international Jewish news, features and provocative commentary, please support our efforts with an annual voluntary subscription of $25 or more. Help us to continue to broadcast the message of solidarity with the Jewish people! To receive a complimentary copy via U.S. mail, please call 941.371.4546 or email jewishnews@jfedsrq.org. READ THE APRIL 2019 ISSUE NOW!